Through a new electric fencing program, we’re teaming up with tribal officers to curb conflicts in Montana’s Mission Valley. North of Missoula, the Mission Valley provides an agricultural haven for western Montana. The valley has seen increased human development coincide with the recovery and expansion of the grizzly bear population in the nearby Mission Mountains and elsewhere in the Northern Continental Divide Ecosystem. The result has been a sharp rise in bear-related conflicts. With much of the valley on the Flathead Indian Reservation, the Confederated Salish and Kootenai Tribal Wildlife Management Program responds to these incidents. Domestic livestock alone have been involved in conflicts with 30 different grizzly bears since 2010, with 13 of those ending in bear mortalities or relocation, according to tribal wildlife managers. And that’s not to mention the growing problem of grizzlies raiding cornfields in the valley—an easy meal that can be hard for a hungry bear to resist. These troubling patterns made it a no-brainer for Vital Ground to support a new tribal initiative that will explore alternative electric fencing solutions to assist poultry producers in stopping conflicts with wildlife. 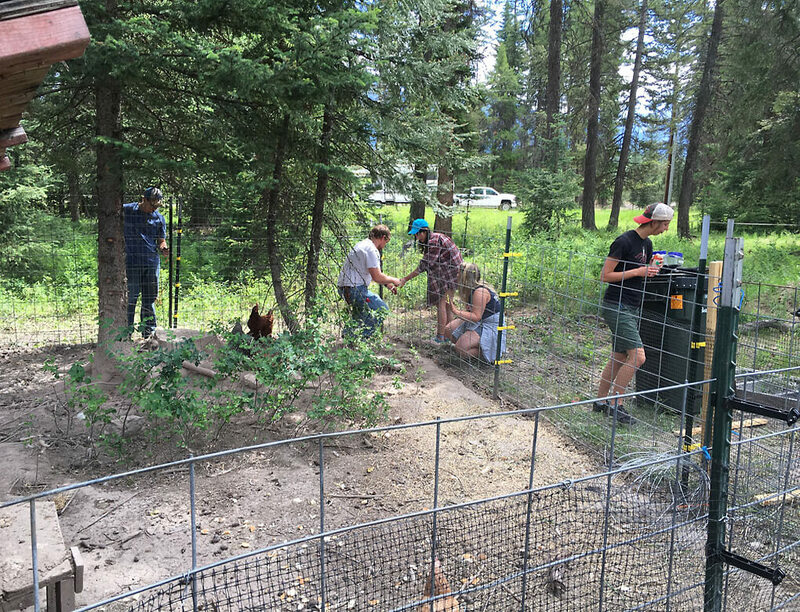 A tribal wildlife manager currently enrolled in the wildlife biology graduate program at the University of Montana will lead the project, testing the effectiveness of electric fencing configurations in deterring grizzly bears from poultry operations. With the effort also including a public education component. This work could lead to widespread adoption of innovative conflict-prevention strategies up and down the Mission Valley. That’s just the kind of exciting boots-on-the-ground problem solving we are eager to support.